Freddie Mac’s Structured Agency Credit Risk (STACR) series has already started 2016 with a bang, with the first transaction of the year announced last month totaling nearly $1 billion. Now it’s the Agency Credit Insurance Structure (ACIS) program’s turn. On Monday, Freddie Mac announced the first ACIS credit risk transaction of the year—and 15th overall since the program began in 2013—with a combined maximum limit of approximately $450 million of losses on single-family loans. Freddie Mac began its credit risk transfer sharing initiatives as a way to transfer a portion of the risk on residential single-family mortgages to private investors and away from taxpayers. The first ACIS transaction of 2016 transfers much of the remaining credit risk associated with the first STACR debt note issuance of the year. Freddie Mac obtains insurance policies that transfer a portion of the credit risk associated with STACR debt pools to insurance and reinsurance companies all over the world. The 15 ACIS transactions have resulted in almost $4 billion in insurance coverage, according to Freddie Mac. Freddie Mac has been a leader in risk-sharing initiatives since introducing its STACR series in mid-2013, followed by the Whole Loan Securities (WLS) series and ACIS. Through 18 STACR offerings, 15 ACIS transactions, and two WLS offerings, Freddie Mac has transferred a substantial portion of credit risk for more than $422 billion in UPB on single-family mortgages. 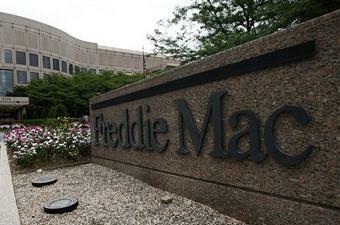 Freddie Mac’s investor base has grown to more than 190 unique investors (including reinsurers). Fellow GSE Fannie Mae followed Freddie Mac’s lead, introducing its own risk sharing initiative, the Connecticut Avenue Securities Series, in September 2013. Through the CAS Series, Fannie Mae has sold more than $12.4 billion in securities to private investors, which covers $438 billion worth of mortgage loans since the program’s inception.